Home › Keyboarding › To Infinity and Beyond: Encouraging Keyboarding Progress! To Infinity and Beyond: Encouraging Keyboarding Progress! 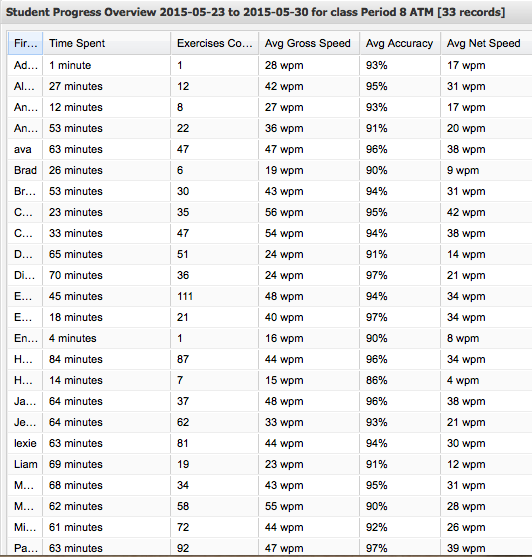 This past year my Grade 6 students (ages 11/12) earned a words per minute average of 43wpm! This is higher than any group of 6th grade students that I have ever have. In fact their class average was higher than one class of grade 7 students. This post is an attempt to explain what helps to encourage students to become faster typers. 1. Set GOALS for your students. At our school the goals are set for 6th Grade= 30wpm or higher, 7th Grade=45wpm or higher, and 8th Grade=60wpm or higher. Students earn a digital badge when they hit the goal, and if they reach their grade level goal, they may opt out of typing homework. I use Badgelist.com to track digital badges. For more information on using badges in education see my badge blogs here. 2. BiWeekly Typing Tests: Students take tests on the letters learned that week and reflect on their progress. I really like using FreeTypingGame.net. There are various typing tests to take, starting at Test 1, which only tests homerow to the more advanced tests where students are typing full stories. In Taking the tests, make sure you route the students to take the Certificate test, as opposed to the Timed Test. Students turn in a screenshot of their certificate after our tests. The Certificate shows both their Gross and Net score, number of errors, the date, what test they took and for how many minutes. On a 5 minute typing test, each error is minus 1 wpm. Though if they take the time to correct their errors before time runs out, the errors will not count against them. I tell students that they must have less than 5 errors on their test. Here are a couple end of the year tests with their reflections that students turned in. Keep in mind that each of these students is an advanced 6th Grade typist, though one student is very pleased with herself, and the other is disappointed. 3. 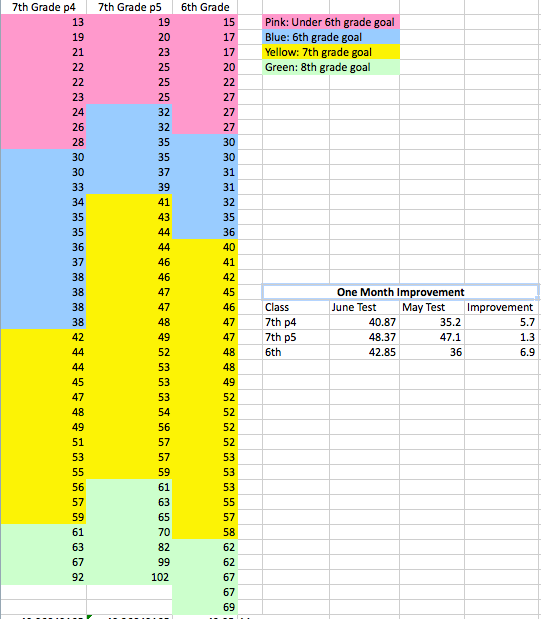 Students Track their Own Progress: Students use Microsoft Excel to track their typing tests. After each biweekly test, they put their score on their chart and update their typing graph. They are encouraged to make the line of their graph go upward. 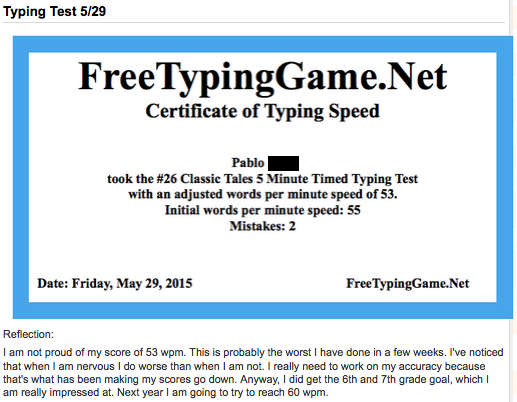 The following student improved from 12 wpm to 54 wpm within one school year! 4. Give Specific Feedback to Students: I often give students feedback on how they are doing. The following is an email from an 8th grade student who I gave feedback to at the end of the first semester which encouraged her to improve from 16 wpm to 60 wpm in the course of her 2nd semester! The interesting thing is, I did not have her in my class during the 2nd semester, but the feedback meant enough to her, that she dedicated herself to improving and sharing her improvement with me via email. 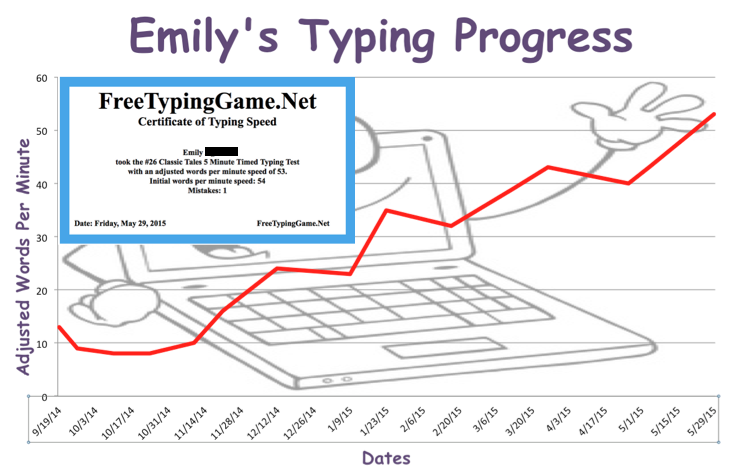 I also included her typing graph below, which shows her amazing accomplishment! I’ve got some exciting news! 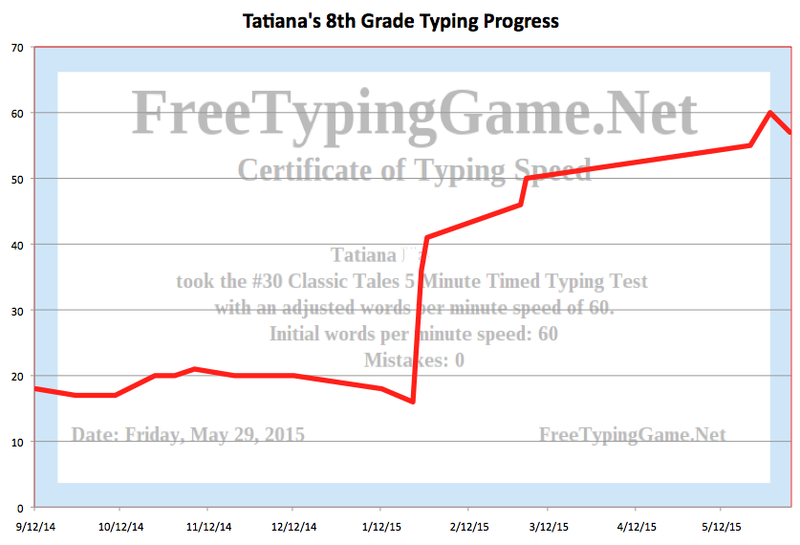 I am excited to tell you that I have reached 60 WPM!!! A couple months ago you put in the comments box beside my typing test results that you wanted to see a 50 wpm screenshot and put three exclamation points after it so it was clearly important to reach 50 wpm, but after I reached 50 and sent you the screenshot I realized that I accomplished so much in such a short period of time that I should not just stop. So I kept typing and typing and I kept pushing myself harder and harder every day; it was extremely hard and seemed impossible to accomplish but I really pushed myself and did not stop typing until I did. 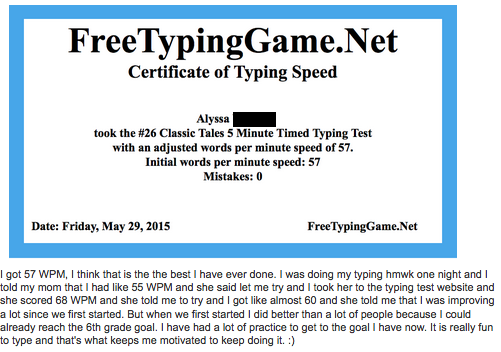 I literally cried when I reached 60 wpm from excitement. I wanted this so bad and my perseverance has paid off! I actually reached 55 a couple weeks ago and I really wanted to tell you but I wanted to see if I could achieve 60 wpm before the final typing test. So I started practicing for who knows how many hours a day and it really helped. 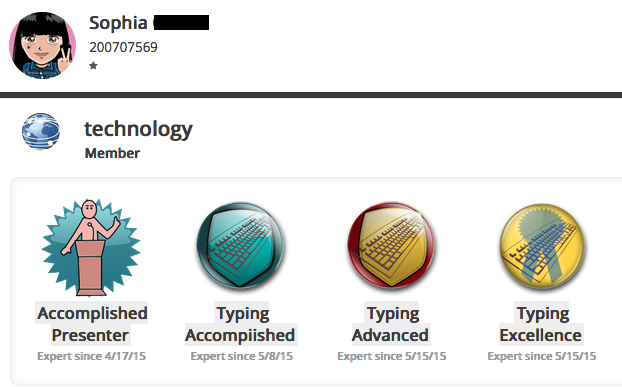 I am so happy, a lot better than 16 wpm, don’t you think? 🙂 Thanks for giving me helpful tips and supporting me. 5. Class Competition: Each Quarter, I have my students look at their scores as a class. We put the scores in numerical order, color code the scores, and calculate the mean/median/mode of each class. For the last quarter we had class competitions. In the following data, my 7th Grade p4 class was in competition with my 6th Grade class. While both classes showed remarkable improvement within 1 month, the 6th graders improved by 7 and had a mean of 2 points higher than the 7th Grade test. Because of this, they earned a celebration. The 7th Grade p5 class had an individual competition to raise their mean by 5 points. Unfortunately this was not motivating enough as they only increased thier mean by 1 wpm. So they did not earn a celebration even though their class did show the highest class average of 48wpm. 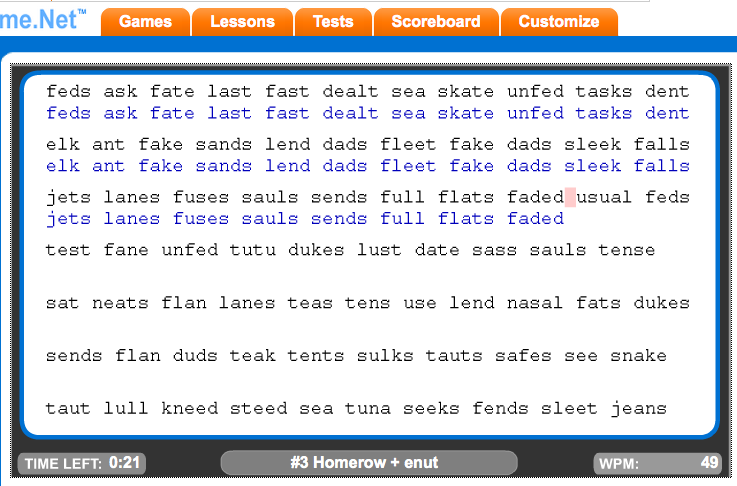 Part of this was, there are 3 students typing above 80wpm, one above 100! Honestly, I really think class to class competition was one of the greatest motivators. One 6th grade student went from 16 to 34 within one month! Next year, i plan to break my students into teams of 6 students per class, and have the teams compete throughout the year for highest average. It will be motivating for students to work in their team & compete with other teams. They can also track their team’s progress graphically as well and encourage each other to improve. 7. Assign Homework: Though many of my students tell me how much homework has helped them improve, I wonder how making it compulsory is helping. This is why I included this last. The students intrinsically motivated would practice at home anyway. Currently I require students practice 60 minutes a week outside of school. They use the program typing.com as it logs their minutes. i can easily go in and check to see if they are completing homework. It puts students on a scoreboard as well so students can compete with one another. It’s a great place to learn typing skills and practice. If students do not have access to a computer at home, our school has computer homework hours available. Have ideas on keeping students motivated in their keyboarding progress? Please suggest them in the comments!